We tweak this salsa verde recipe constantly because we have not quite reached the goal, which is to duplicate the amazing flavor of the famous Santana's salsa verde. Now this is a good problem to have since it means we have salsa verde on hand at all times for use on everything from tostadas, or pork tacos or heuvos rancheros. 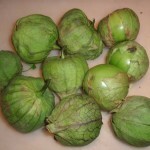 Peel husk from tomatillos and wash thoroughly. 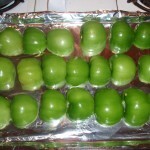 Slice tomatillos in half and place flat-side down on cookie sheet or broiler pan. 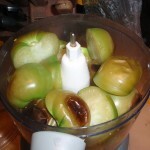 Place under the broiler for about 10-12 minutes or until the skin of the tomatillos is blackened. 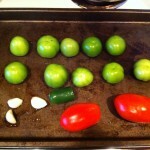 EVERY broiler is different, so keep an eye on the tomatillos after about 5 minutes just to make sure. 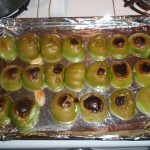 Remove tomatillos from the oven and let cool for a few minutes. 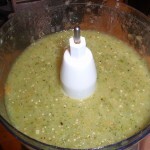 Combine the cilantro, garlic, habenero, jalapeno, onion, lime juice and tomatillos in food processor and blend. 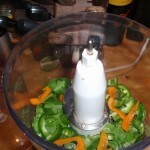 Use a spatula to scrape the sides of the food processor to make sure everything blends evenly. Pour contents of the food processor into a bowl and let cool. 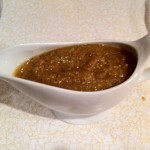 Salsa is ready to use after it cools, however, we have found that flavor improves if the salsa is refrigerated over night.